Cyclone Engineer Robert Brown is pioneering the use of thermochemical processes to efficiently and inexpensively turn biomass into biofuels and biobased chemicals. 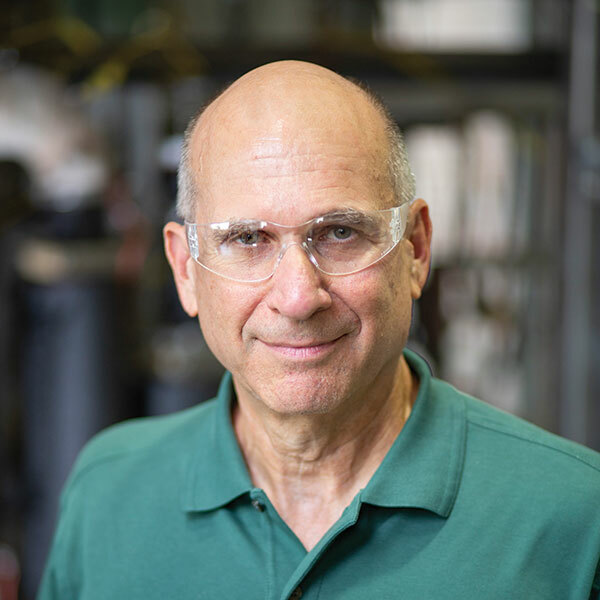 Brown, Anson Marston Distinguished Professor in Engineering, has built a nation-leading research program in scaling biomass processing discoveries from the bench to pilot and demonstration scales. He directs Iowa State’s Bioeconomy Institute, which researches processes that use heat, pressure and catalysts to produce significant advantages in yields, require less inputs, reduce capital costs and makes simpler, modular reactor designs possible. “Our program’s uniqueness is the depth and breadth of experience in the major thermochemical processes applied to biomass pyrolysis, gasification and solvent liquefaction – and our support of commercialization of these processes through scale-up and technoeconomic analysis,” said Brown, who is also the Gary and Donna Hoover Chair in Mechanical Engineering and a professor in chemical and biological engineering and agricultural and biosystems engineering. Brown’s colleague Mark Mba-Wright, associate professor of mechanical engineering, takes data from laboratory and pilot plant experiments and determines costs to scale up to industrial production and how much the products will cost consumers. “The engineer in me is always thinking ‘OK, contributing to new knowledge in the thermochemical sciences is gratifying, but how do we use these findings?’ Getting scale up and economics right is key to transitioning technology out of the lab and into the market,” said Brown. Brown’s research has drawn the interest of major players in the energy industry. 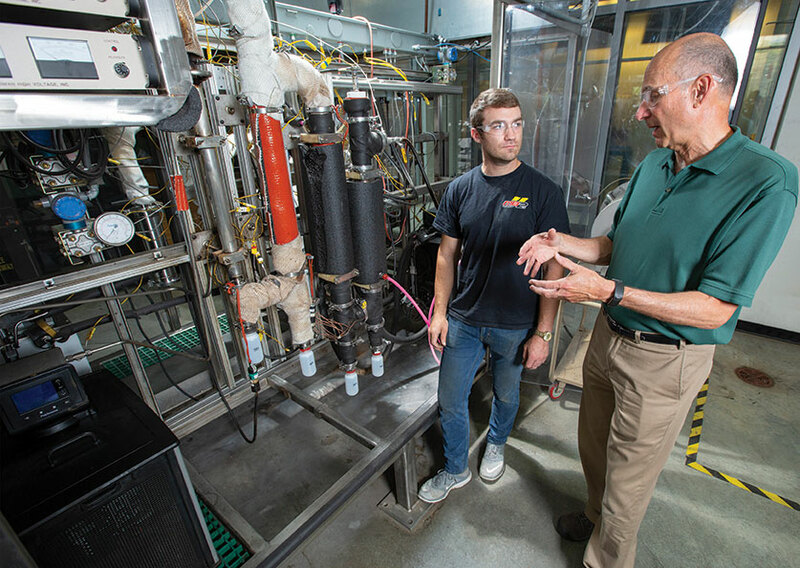 ConocoPhillips established an $18.5 million research program at Iowa State that made critical advancements in thermochemical conversion of biomass, especially pyrolysis. Later, Chevron partnered with Brown’s research team on solvent liquefaction research. “Chevron valued our expertise in thermochemical processing and, most importantly, our capability to conduct research at pilot plant scale,” said Brown. The processing facility is now located at Iowa State’s first-in-the-nation BioCentury Research Farm, which integrates biomass production and processing. Brown is now lending his expertise to the Rapid Advancement in Process Intensification Deployment (RAPID) Institute, a Manufacturing USA project funded by the Department of Energy and led by the American Institute of Chemical Engineers. RAPID aims to improve the productivity of chemical manufacturing. Robert Brown (right), Anson Marston Distinguished Professor in Engineering, is a nationwide leader in developing thermochemical processes to turn biomass into biofuels and biobased chemicals.